All map motifs are hand painted and digitally enhanced, making them charming eye catchers. 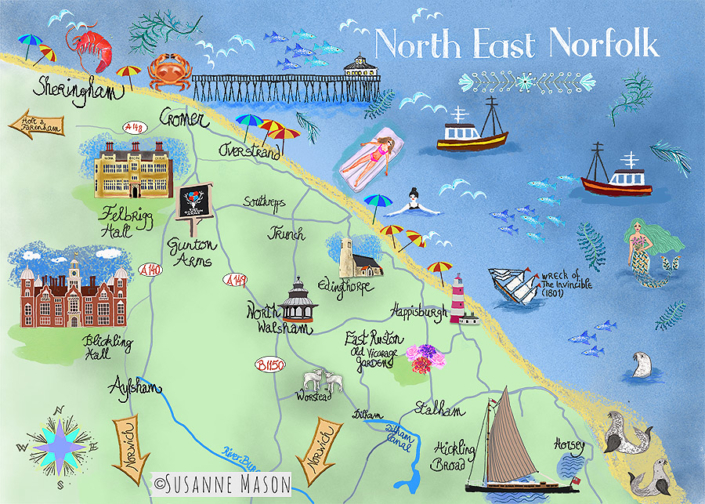 Customised and personalised maps are available – I am open for commissions for events such as wedding invitations or birthday celebrations. These maps also make perfect greeting cards for holiday regions. In large print they are a beautiful wall decoration.